Home Bollywood News The Box Office Clash Of Salman Khan VS Katrina Kaif Averts! The Box Office Clash Of Salman Khan VS Katrina Kaif Averts! Sooryavanshi VS Inshallah: A lot of speculations were being made that Bollywood actress and Salman Khan’s ex-lover Katrina Kaif has signed Akshay Kumar starrer Sooryavanshi. The reports suggested that Akshay Kumar is keen on working with Katrina Kaif again but her spokesperson has denied the news. It is being said that Katrina will not be signing the film which means we won’t be able to see the pair of Akki and Kat. Their chemistry is one of the most loved ones in Bollywood. Fans are disappointed after this news started flowing in. We have seen the duo earlier in films like Singh Is Kinng, Namastey London, Humko Deewana Kar Gaye and many more. We can just wish that these two work in Sooryavanshi together since nothing is yet finalised. Going by her spokesperson quote, a clash has been averted. If Katrina would have done Sooryvanshi, then she would have had a face-off with Salman Khan’s Inshallah. Well, things would have been very weird for everyone. It will be now interesting to see which actress will be paired opposite Akshay. Talking about Sooryavanshi, the film is being shot and we will also see Ranveer Singh’s Simmba and Ajay Devgn’s Singham in it. 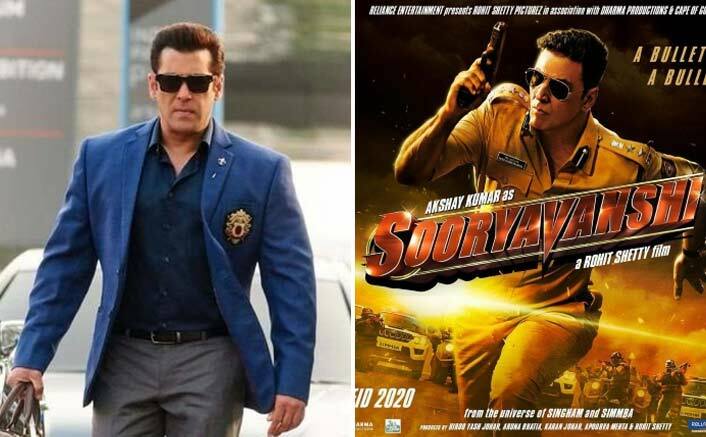 Recently, the makers revealed the first two posters of Sooryavanshi and it will hit the theatres on Eid 2020. The post The Box Office Clash Of Salman Khan VS Katrina Kaif Averts! appeared first on Koimoi.